By June, the canopy emerges with canes now 2-3 feet long. 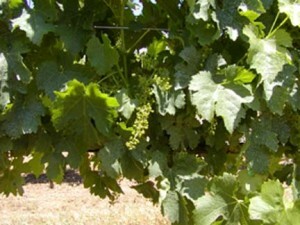 The clusters have blossomed and the fruit has “set”. 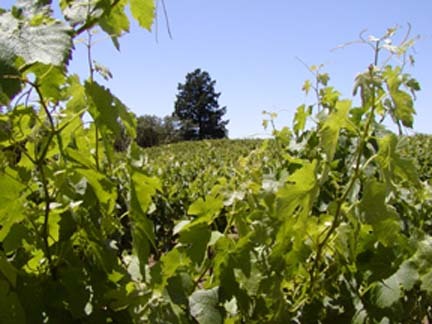 Long hot days and cool marine influenced nights, start to work magic on the vines. By this time, each vine has been serviced at least twice, first by removing all succor growth except the two canes growing from the original two buds, and, second, by removing leaves from around the developing clusters to allow filtered sunlight, to better ripen and mature the fruit. 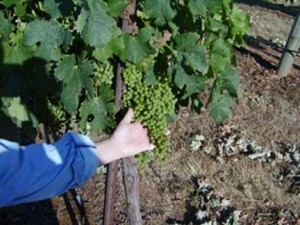 Before the season ends, each vine will have personal, hands on attention 4-5 times. Multiplying this by the 1000’s of grapevines, and one can sense the handcrafting involved. June slips to July and the cluster swell dramatically. The sought after result occurs in August with the clusters starting to turn from bright green to their ultimate ebony-purple. 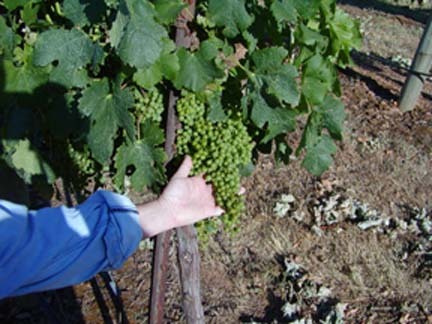 The color indicates the sugar in each grape is rising: 14, 15, and 18 “brix” (the percent of soluble material in the grape, i.e. sugar). The higher the sugar the sweeter the grape. But, we will need to wait, for the “hang time” to take the sugar levels up to 23, 24, 25 and more, depending on the winemaker’s dreams. 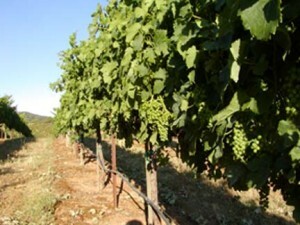 “Hang time” also equates to complexity and greater sophistication of the grape, its juice and ultimate wine composition. “Hang time” is the hospital, waiting room of grape growing.